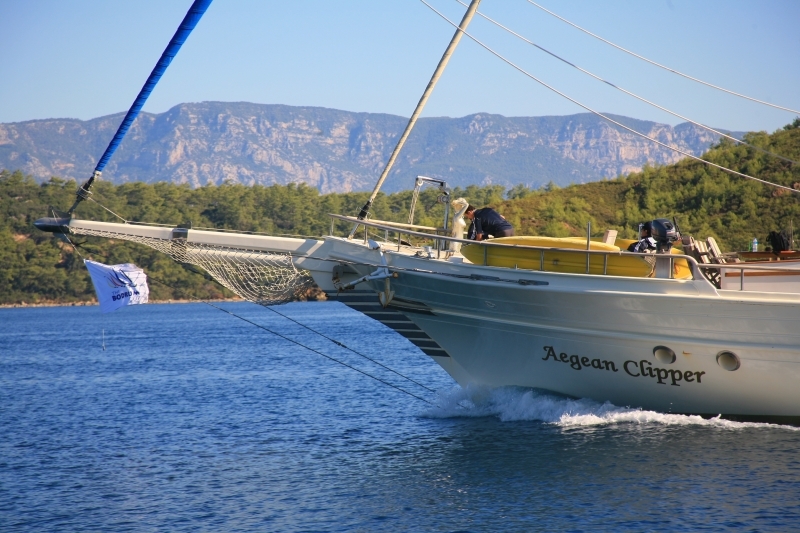 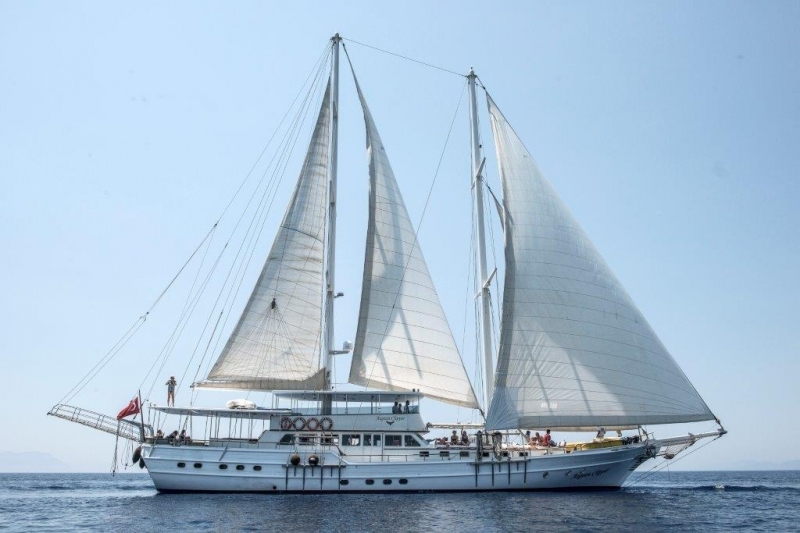 The immaculately kept Luxury gulet Aegean Clipper is made for the ideal, relaxed, comfortable cruising charter for a large group in both Turkish and Greek Islands waters as it is one of the few Turkish gulets licensed to sail with large groups in Greece. 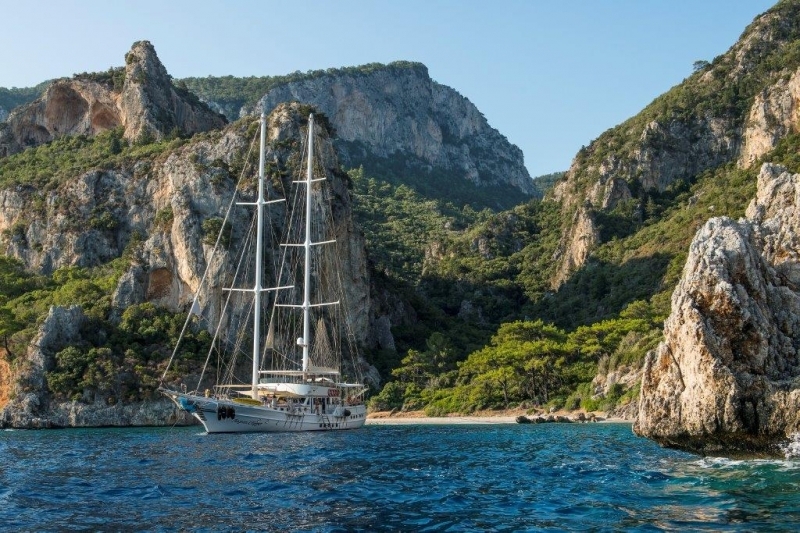 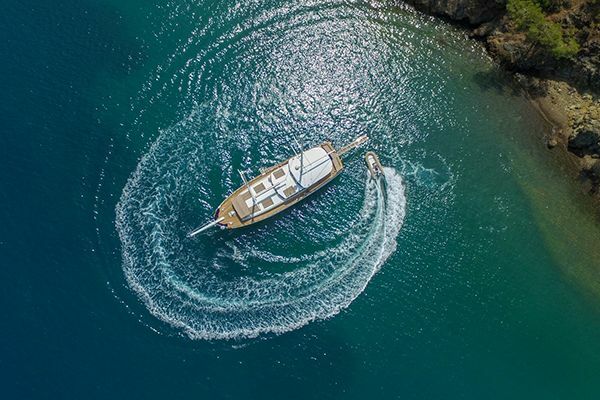 The gulet was redesigned and refitted with the insight gained from years of gulet cruise experience, and the guests benefit with the enjoyment of copious space for relaxing, dining and taking in the views and sunshine. 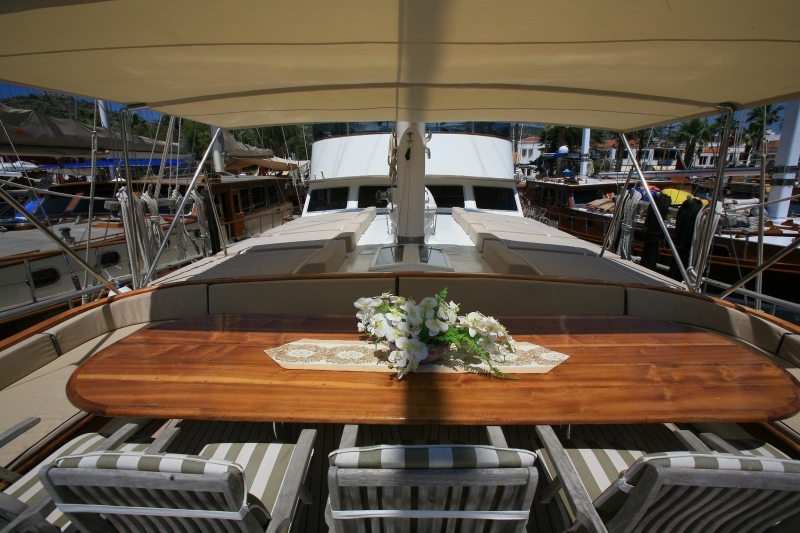 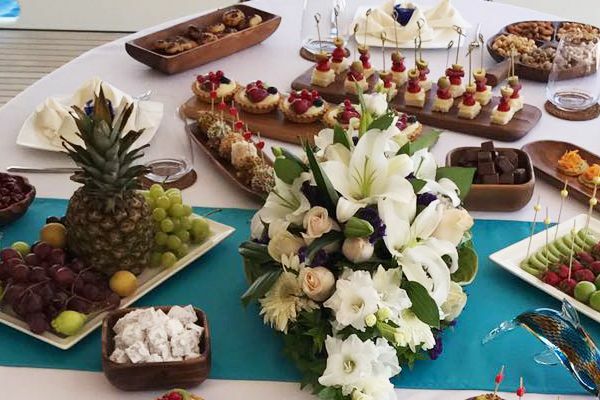 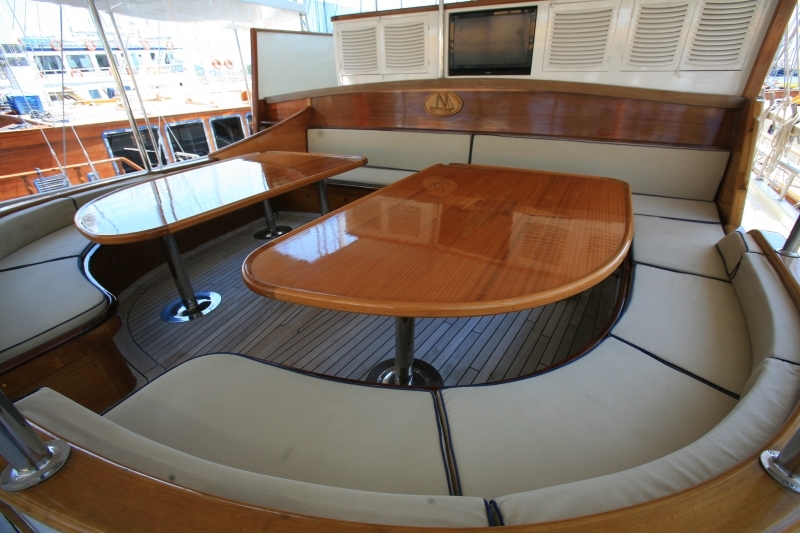 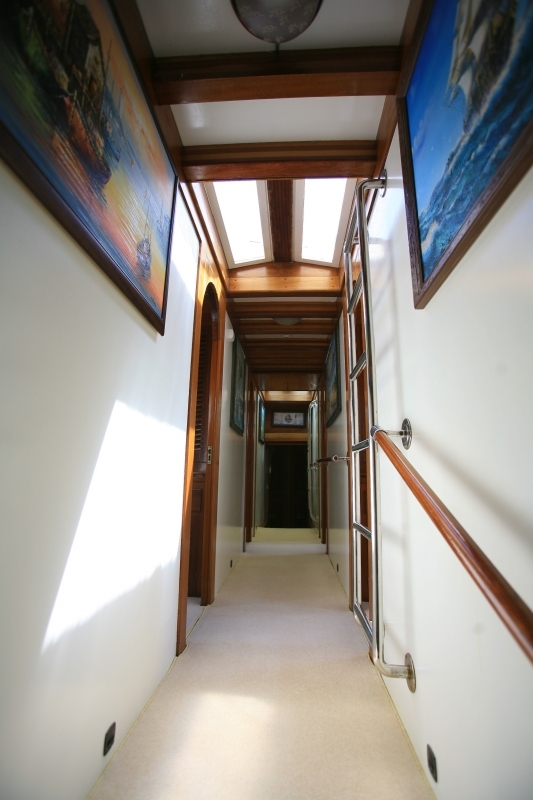 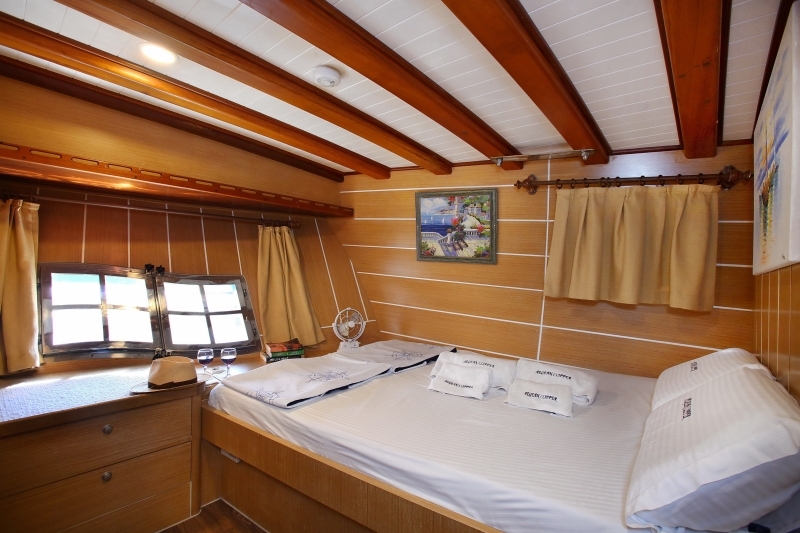 There are three dining areas; one in the comfortable air-conditioned indoor saloon and two outdoors on the fore and aft decks with the option of shade on the fore-deck. 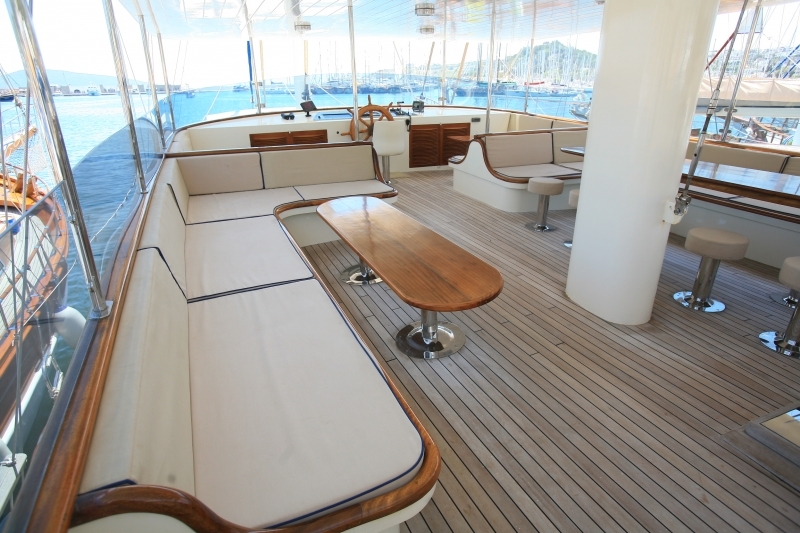 In addition the upper level fly-bridge with comfortable seating around small tables is a magnet for sunset and evening drinks enjoying the views and the breeze. 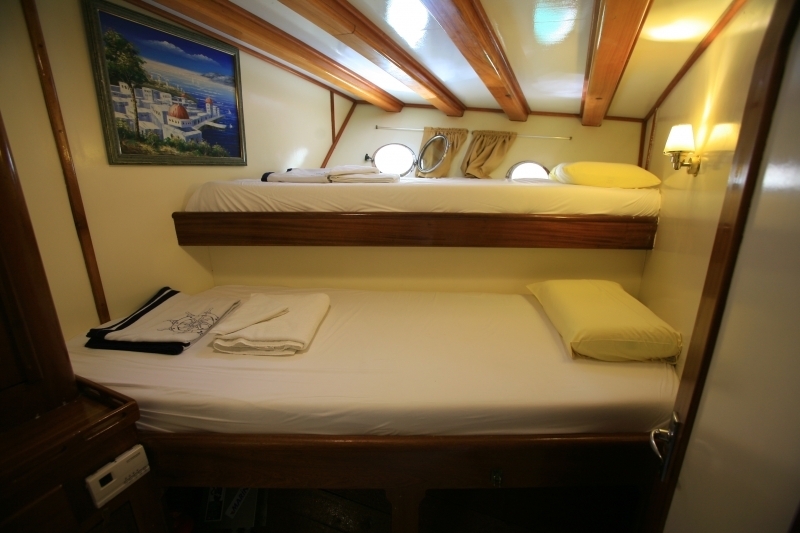 For the lazy hours there are sun mattresses galore. 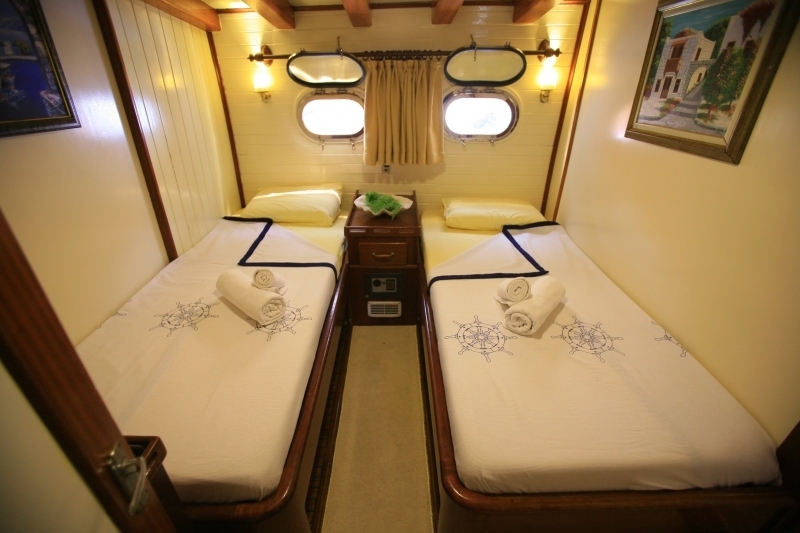 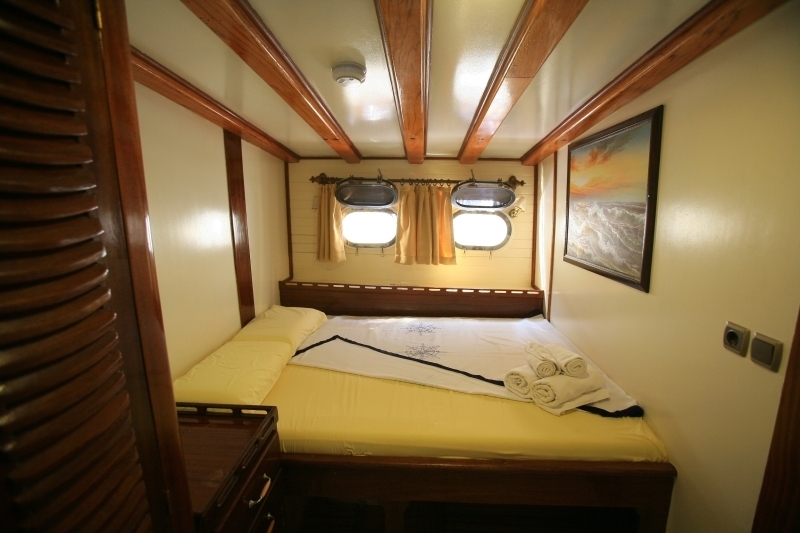 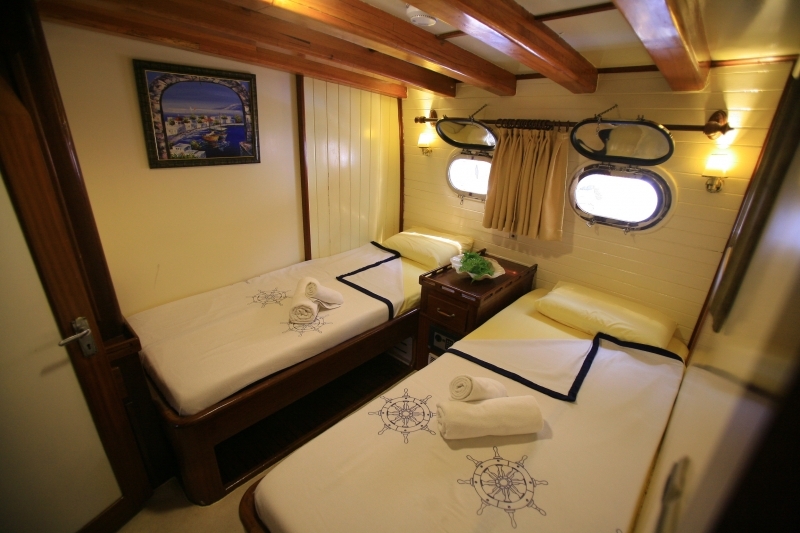 The accommodation consists of an excellent mix of eight twin bed cabins and four double bed cabins fore and aft with access from the saloon. 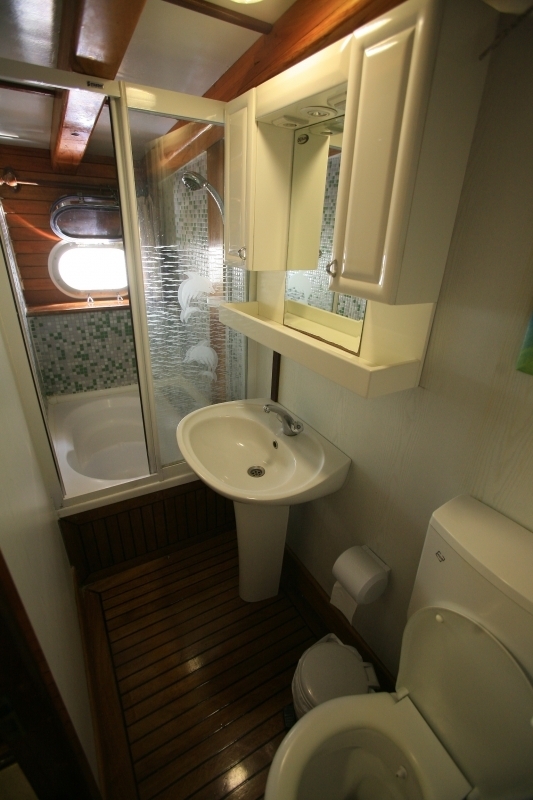 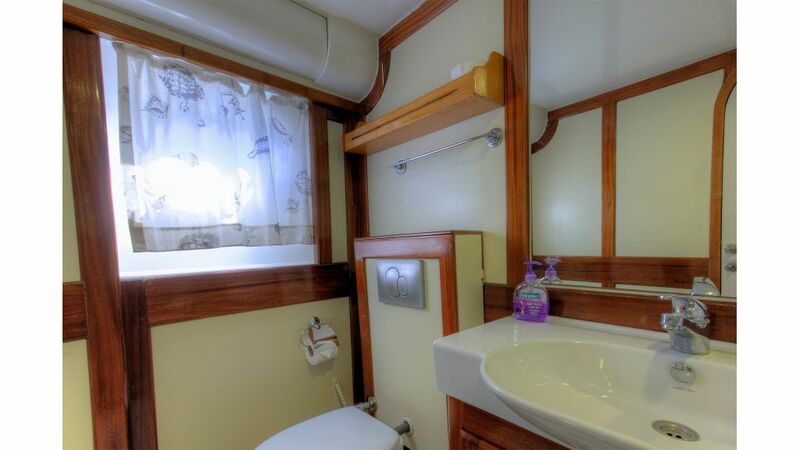 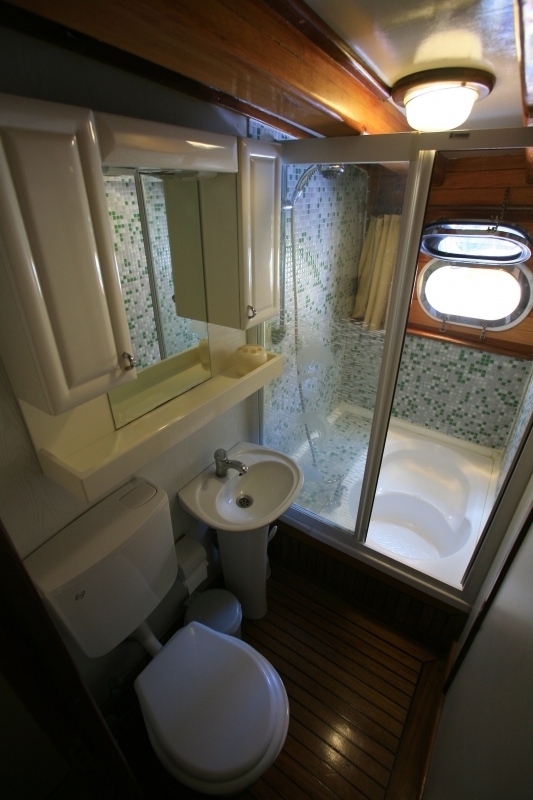 The double and twin cabins have their own well-appointed ensuite bathrooms, and all indoor areas have air conditioning available. 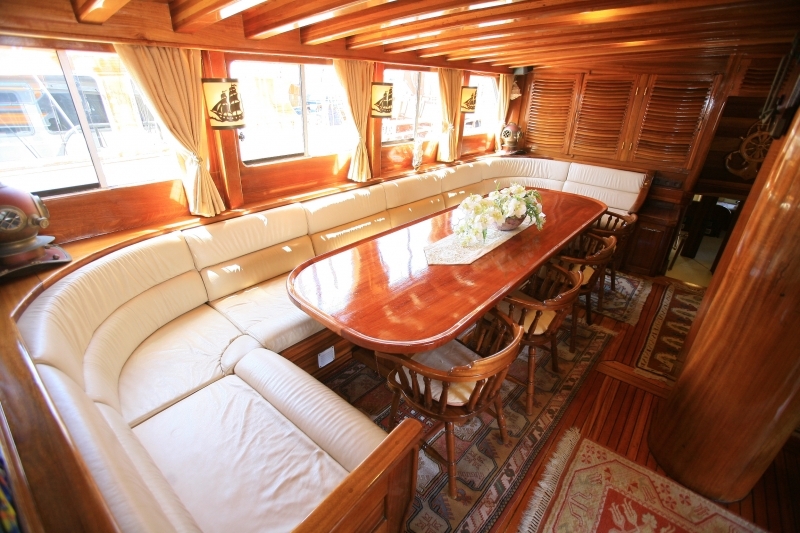 The saloon not only offers the dining table and long cushioned seat, but is the spot for watching TV /DVD, and enjoying some music or internet when in range. 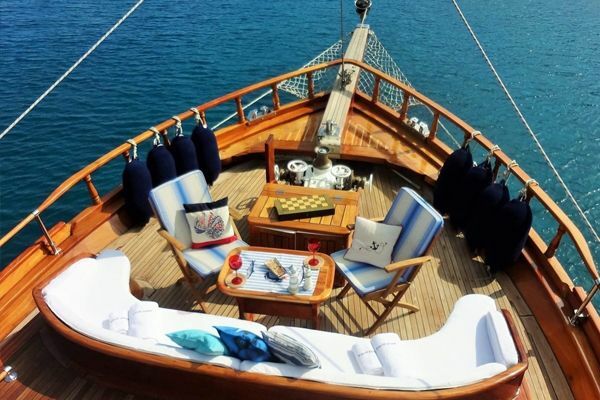 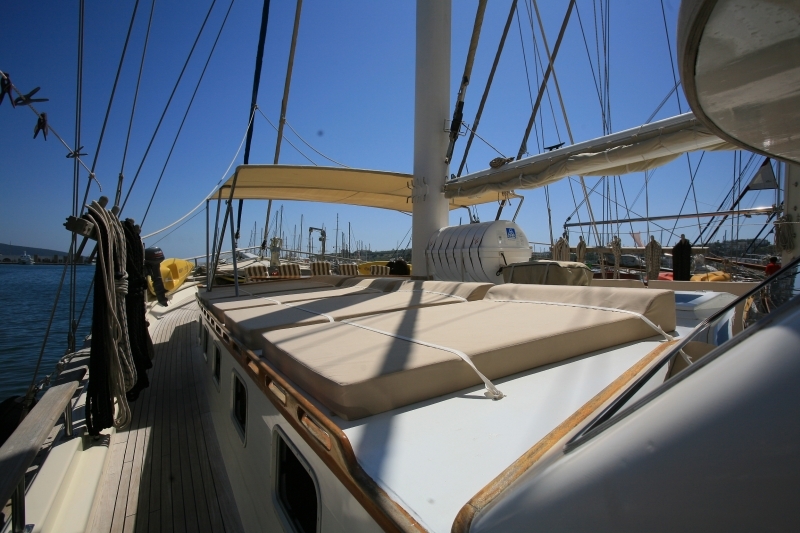 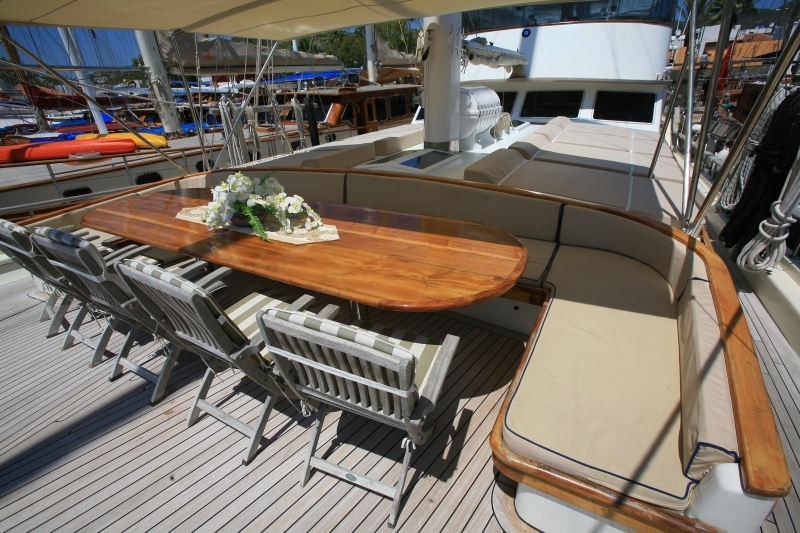 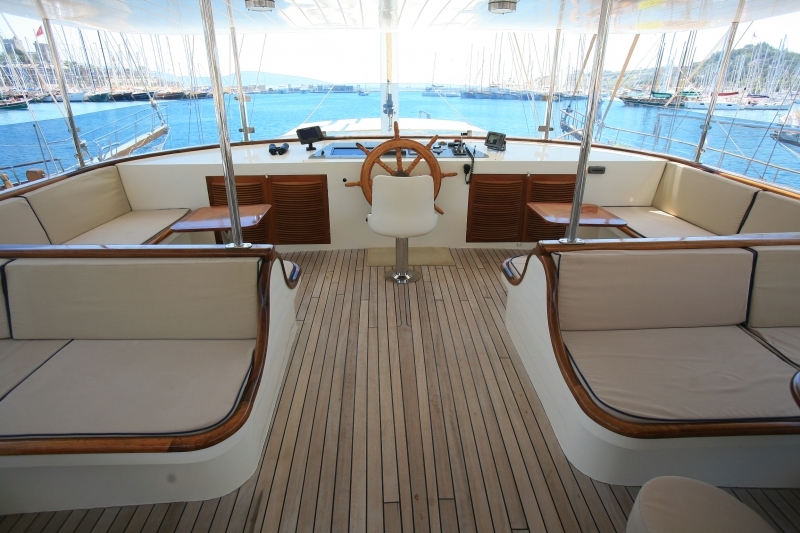 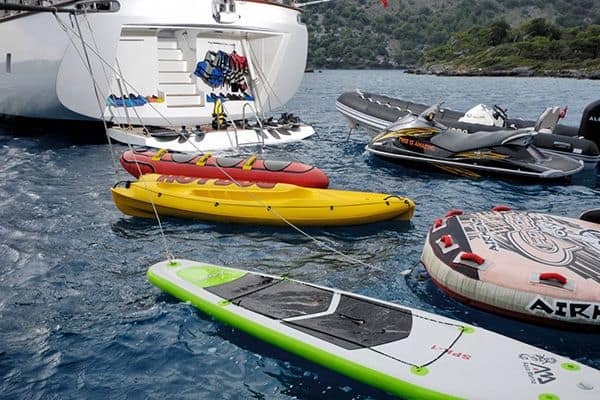 In short the gulet design ensures there is no shortage of places to relax in. 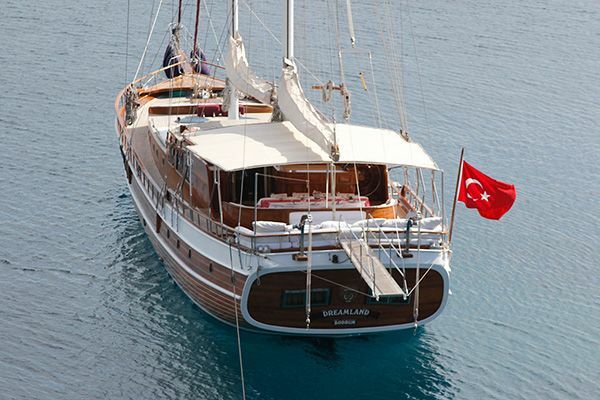 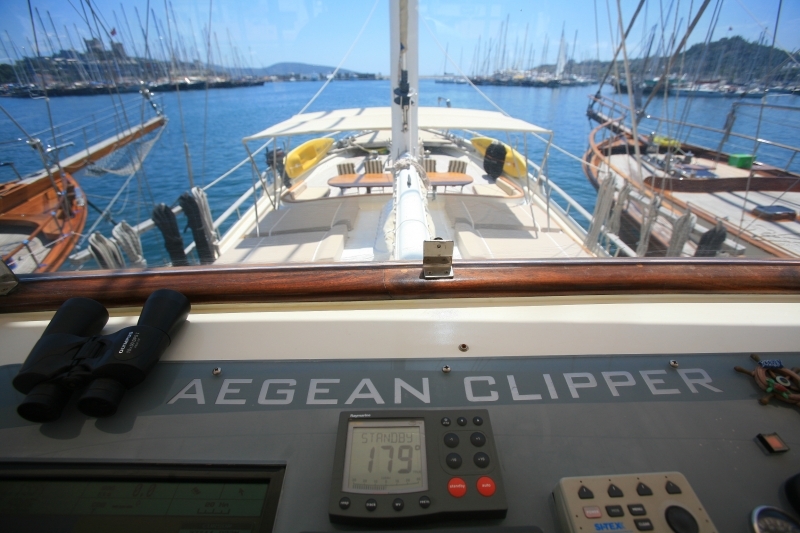 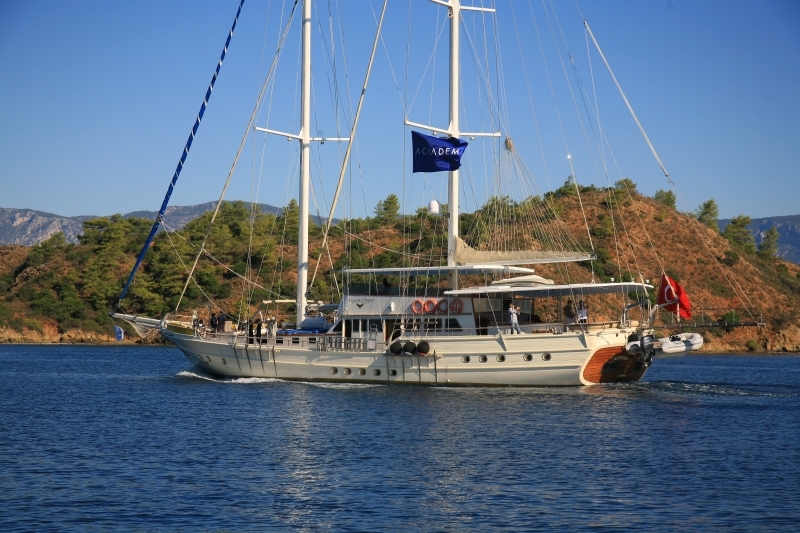 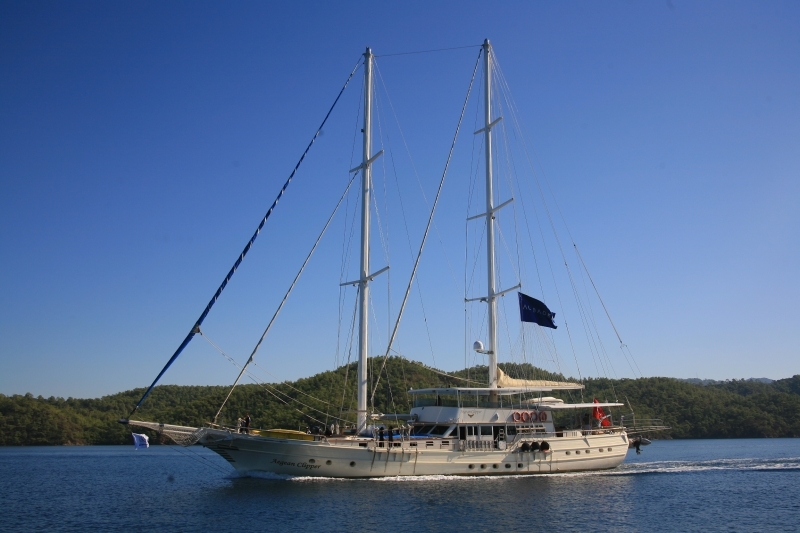 The renowned Captain Ergun, who is fluent in English and German, and his experienced and very professional crew maintain the beautifully finished wooden gulet in pristine condition, serve wonderful meals, and enjoy shaking out the sails: all to make sure guests have a thoroughly enjoyable gulet cruise holiday.